The beautiful Autumn is coming. 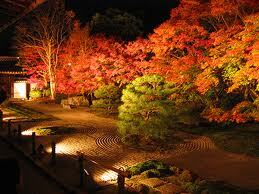 Here is Japan Koyo Information (autumn color of leaves). Some of trees start to change the color in November to December in Kansai Area. And also sweet yellow gingko trees is lined in Osaka Midosuji Area. Please ask the front desk for the special recommendation !